United States Attorney David C. Joseph announced today that a Shreveport man previously convicted of a felony was sentenced to 37 months in prison for possessing a pistol and ammunition in his car. 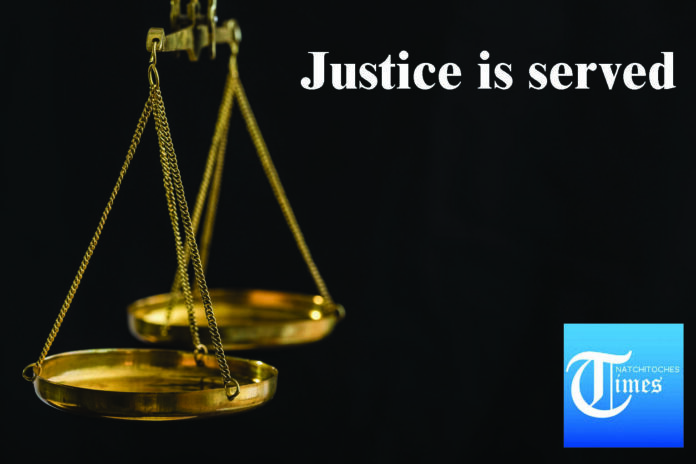 Demond Lamont Hill Sr., 37, of Shreveport, was sentenced by U.S. District Judge Elizabeth E. Foote on one count of possession of a firearm by a convicted felon. He was also sentenced to three years of supervised release. On July 31, 2017, Shreveport Police responded to a call about people dealing drugs on Herndon Street. Officers heard loud music when approaching Hill, and he jumped in his car. Officers approached Hill’s car and saw a gun on the driver’s seat beside the center console. Hill said the gun was not his but knew it was in the car. Hill said he was on parole and a convicted felon. The firearm was a Taurus semi-automatic 9 mm pistol. The officer also found 12 rounds of ammunition. Hill has several felony convictions in Caddo Parish and is prohibited from possessing a firearm. His felony convictions include an aggravated battery in 2001, drugs in 2006 and 2007, and a firearm possession in 2007. The ATF and Shreveport Police Department conducted the investigation. Assistant U.S. Attorney Mike O’Mara prosecuted the case.